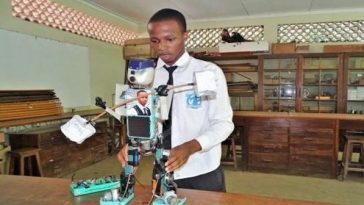 Gracious Ephraim, is a young Tanzanian who had the brilliant idea of ​​designing a robot that could be a revolution. 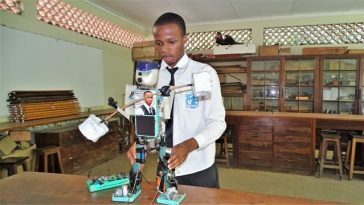 A student at Arusha High School in northern Tanzania, Gracious Epharaim has built a solar-powered robot with many functions: he speaks, sings, answers questions, walks …, reports the Daily News , a local newspaper. For this young high school student, everything started from a scientific series that cost him about 200,000 Tanzanian shillings ($ 89). In 12 months, he completed his creation which also required local and recycled materials including aluminum boxes, wires, tin containers, pieces of metal and a chip for the memory of the robot. Behind his invention, the goal is also to support his scientific curriculum by providing solutions to the problems of everyday life. ” For many years, science students in the country did not want to invent, they all focus on jobs, but as a scientist, it’s about designing and creating new things, ” he says. -he. 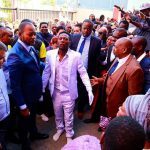 Gracious Ephraim wants to contribute to the industrialization of Tanzania. ” Tanzania is aiming at industrialization, which means factories and other production lines have to operate 24 hours a day. But humans can not work 24 hours a day, so I expect robots to work at night and people during the day. It will also reduce the cost of overtime for workers, “he said. At Ilboru high school he attended, Gracious Ephraim follows a robotics program supported by a Korean organization called E3-Empower Africa. With 30 other students, they learn the basics of robotics.